It seems that the more time I spend reading other people's blogs, being captivated by Tumblr or clicking on links in Facebook, the more fired up my brain becomes. There is so much creativity in the world and the internet is firing random shots across cyberspace, linking up ideas that would never before have been connected. This has always been one of the most inspiring things about the world wide web, that got me hooked in the early 90's when I posted to my first bulletin board. It is the concept of reaching out to strangers, receiving their ideas, incorporating your own and then spitting out the result, which will hopefully inspire others in their turn. Tumblr seems to epitomise this churning up of inspiration, however it doesn't seem to encourage the change and enhancement of ideas, just the repetition of them. I love how Tumblr provides much food for thought, and how you are encouraged to pass on the genius of others, allowing the best and worst of the internet to sift to the surface. I am still greatly addicted to browsing the "popular" section of Tumblr and I am using it to post some photos of my work and sources of inspiration. I have decided to add the page to my website, so there will be constant additions to the website, even when I am not posting full blog entries. I will get you all hooked in the end, you know, you may as well just give in and join me! In the same theme of digesting source inspiration and churning out something new, I read a blog today about a website called ColourLovers.com. 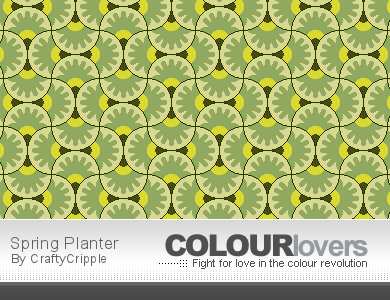 It is a fantastic tool that enables you to play around with colours and create palettes. Whilst this aspect is much fun and very interesting, the part that is relevant to my discourse, is the "inspired by" section. 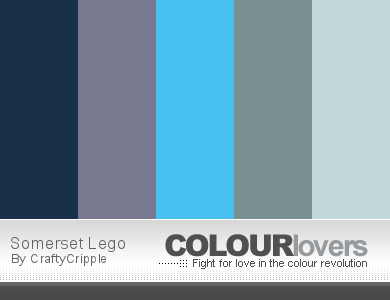 You can take a photograph or image from the internet, or your own hard drive and the site will distill the component colours into a palette, from which you can choose your key colour selection. 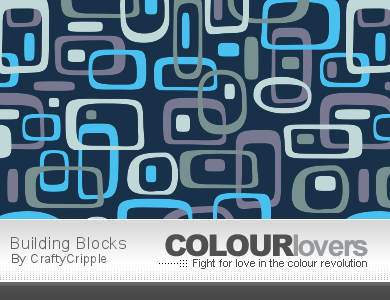 You can then save your palette or transform them into new patterns. Here are some of the results of a couple of hours of playing. Which in turn was derived from this inspirational photograph (actually one I took in my garden). It's interesting isn't it? My other result was from this inspirational image, again another one I took. I am trying to use this as a tool to develop a wider range of colour tastes. 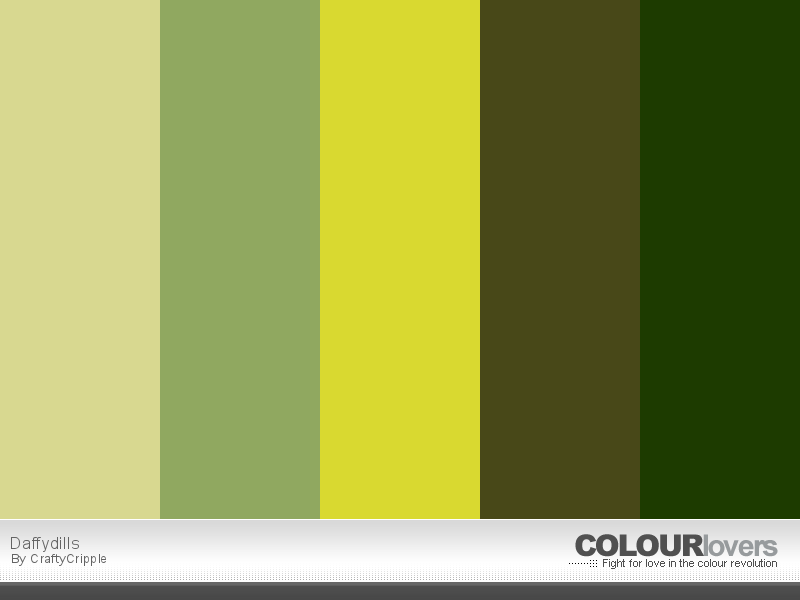 I find I am always drawn to a similar palette, so I am going to try and stretch myself into different directions. 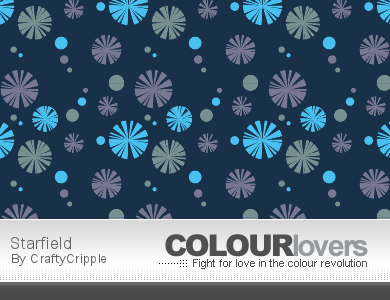 Hopefully you may start to see different colours on my blog and pattern pages! Until I buy my next set of yarn, I will continue to play here.